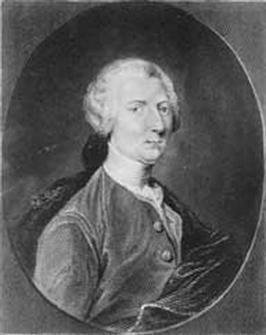 Baron DeKalb was born in Hüttendorf, Germany on June 29, 1721. He was trained in the military service of the French, eventually becoming a Knight of the Royal Military Order of Merit. 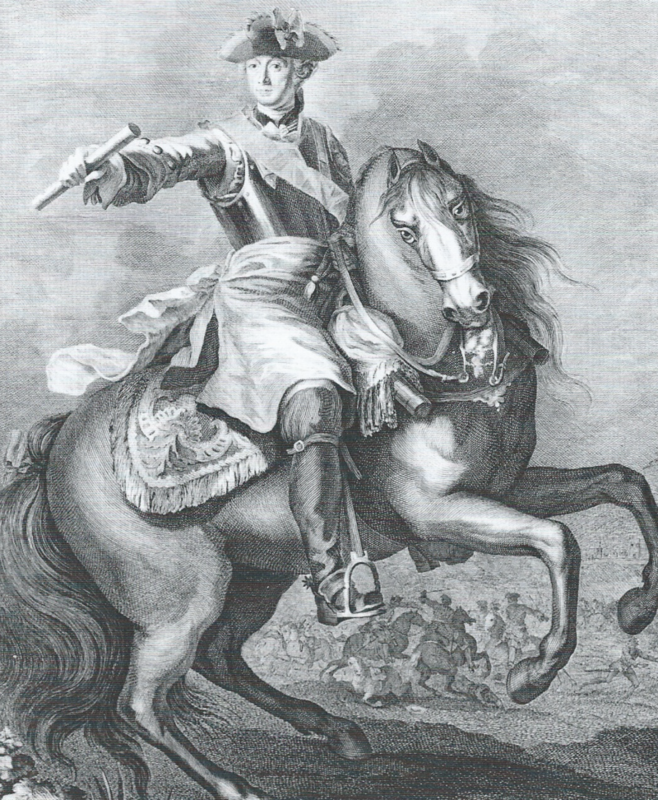 In 1747 he became brigadier-general under Victor-François, 2nd duc de Broglie. 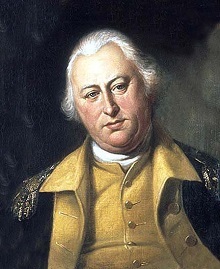 During the French and Indian War (1754-1763), he was sent to the colonies as a secret agent to determine the attitude of the colonists toward the British. He traveled extensively throughout the colonies, clandestinely observing the temperament of the colonists. He was eventually arrested on suspicion of spying, but was released for lack of evidence. When he returned to Paris, his report to the French government told of the dissatisfaction of the colonies with British rule. Two decades later, a representative of those same disgruntled colonists, Benjamin Franklin, would appeal for assistance from the French, in their fight for Independence from Britain. 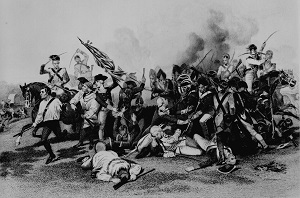 When Lafayette decided to aid the American cause, he persuaded Baron DeKalb to accompany him. 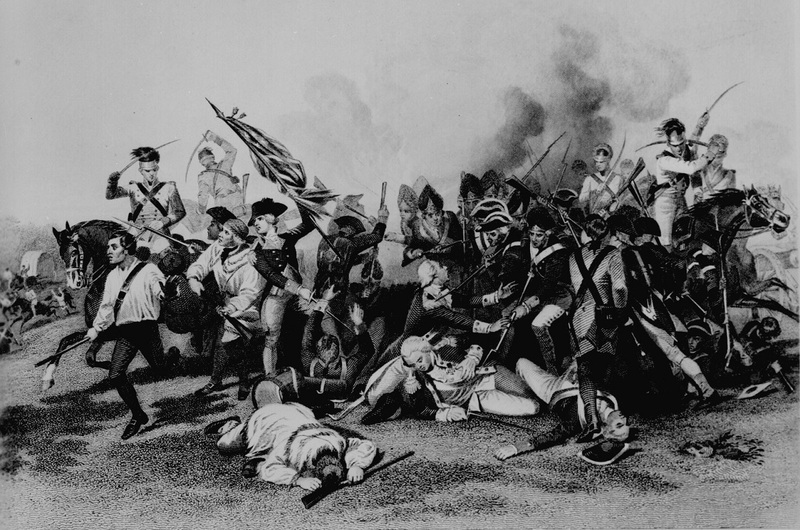 Lafayette and DeKalb arrived in the colonies in the spring of 1777. Lafayette and DeKalb landed in Charleston, South Carolina, then travelled to Philadelphia to meet with the Continental Congress. On September 15, 1777, De Kalb was commissioned a Major-general. He joined Washington and served on his staff until his appointment to a command, camping with Lafayette, Washignton and the Continental Army at Valley Forge as the winter of 1777 approached. As the Conway Cabal was unfolding, Washington's enemies sought to remove those most loyal to the commander-in-chief, proposing that Lafayette should lead an invasion of Canada, with DeKalb as second in command. The Canadian invasion never materialized, and was officially scrapped by April of 1778. On May 6, 1778, after enduring the harsh winter at Valley Forge, Washington issued orders that the army should assemble to celebrate the very welcome news of the alliance with France. DeKalb commanded the "second line on the left" in the arrangement of the troops on the Grand Parade. DeKalb was later placed in command of the American line between Elizabethtown and Amboy. He wanted to set up a system of guard boats to travel up and down the coast, but Washington advised against it. He was asked rather to "keep a small party stationed with the alarm-guns stationed below Chatham". I have in consequence of the opinion of the last Council of War, left it with Congress finally to determine upon the march of the Maryland divisions to the southland. That no time may be lost in the transportation of the troops, should Congress agree in sentiment with the Council of War I desire you to proceed immediately to Philadelphia, and, if you find upon your arrival there, that they are to move concert with the Board of War, and the commissary and quarter-master-general make the necessary arrangements for their provision and accommodation. But should it be determined, that the march of the body of men alluded to is at this time either inexpedient or unnecessary, you will be pleased, after completing your private business, to return to your command in the army. If you proceed to the southward, I wish you safe and expeditious march and every success that you can possibly desire. General DeKalb commanded the Maryland and Delaware Continentals and they moved to the head of Elk in the beginning of May. DeKalb and his troops did not arrive in time to bolster General Lincoln's besieged troops. Charleston and General Lincoln were captured on May 12, 1780. 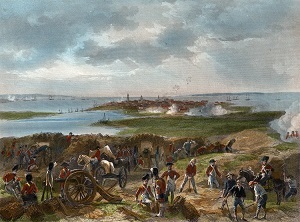 DeKalb was temporarily made commander of the southern campaign and proceeded to Camden, South Carolina with his Delaware and Maryland troops. 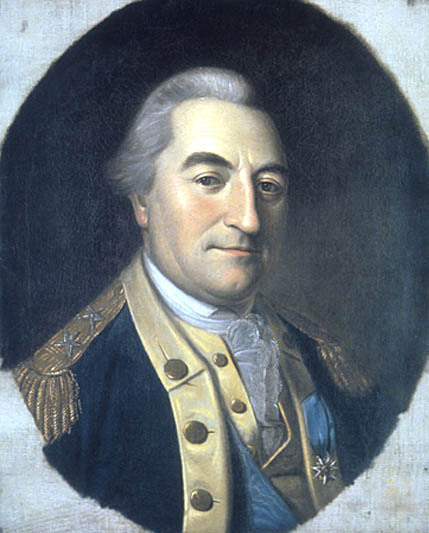 Horatio Gates met up with de Kalb and the army near Greensborough, North Carolina and assumed command, with De Kalb as his second-in-command. Gates' army was soon bolstered by additional troops under Generals Richard Crasswell and Edward Stevens. The 3,000 man army made the final march to Camden under cover of darkness on the evening of August 15. Britain's General Cornwallis, alerted to the massive army heading south, had brought over 1000 additional British troops to strengthen the British garrison defending Camden. On August 16, the two armies clashed. It quickly went badly for the Americans. The Virginia and North Carolinia militias broke ranks and fled before a vicious bayonette charge. The American panic got even worse when Corwallis ordered a cavarly unit to move in on the rear of the American forces, who had been outflanked, outmanuevered, and, most significantly, were greatly outclassed in training and discipline. De Kalb attempted to rally his troops in the midst of the confusion, but was unhorsed and gravely wounded 11 times (mostly by bayonette). He was taken prisoner and died from his wounds a few days later. in their struggle for independence".